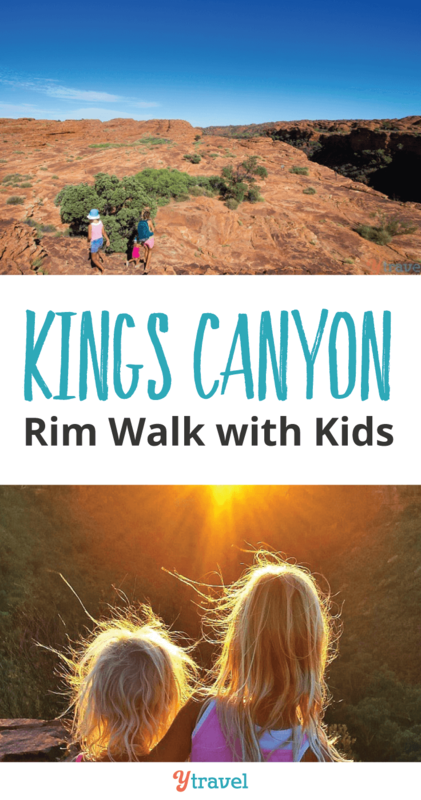 You Can Do the Rim Walk at Kings Canyon Australia With Kids! By Caz | October 24, 2018 | This post may contain affiliate links, which means we may receive a small commission, at no cost to you, if you make a purchase through a link. Read our Disclosure. 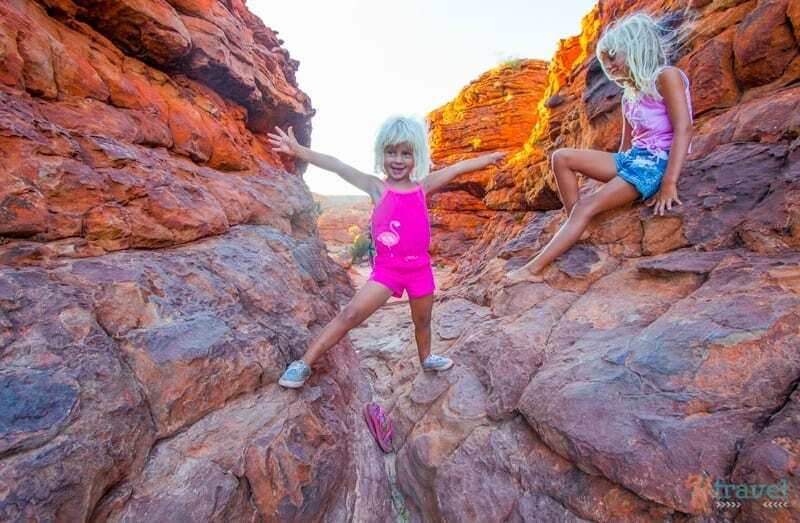 This Australian road trip has opened my eyes to the strength and resilience of my daughters. I’m sure if we were living a normal life; we’d not have the opportunity, or be open to testing their limits of capability. The helicopter parenting instead takes over, and we impose the limits onto our children based on our fears and conditions. 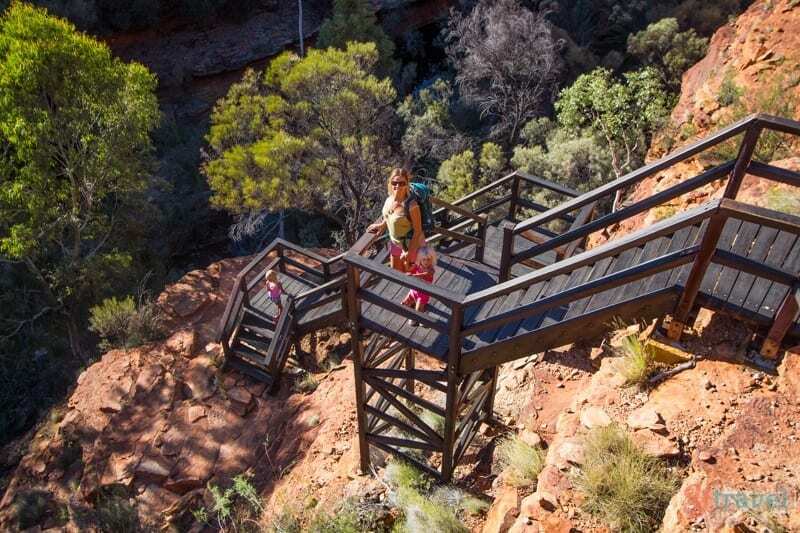 That’s what we said on the morning we set out early to do the Kings Canyon rim walk, in the Watarrka National Park. Other people told us the girls couldn’t do it, but we knew we could try first and then discover the real answer instead of just assuming. Craig and I were prepared to carry the girls at some stage. 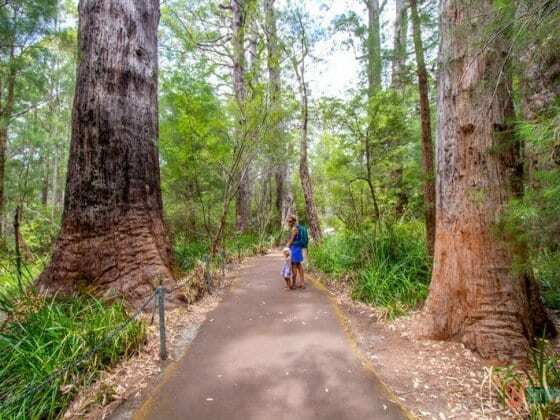 It was a 5.5 kilometre loop walk, without counting the extra side trails we took to Cotterill’s Lookout and the Garden of Eden. We’d done a lot of small walks and hikes with the girls so we were fairly confident we could do it. 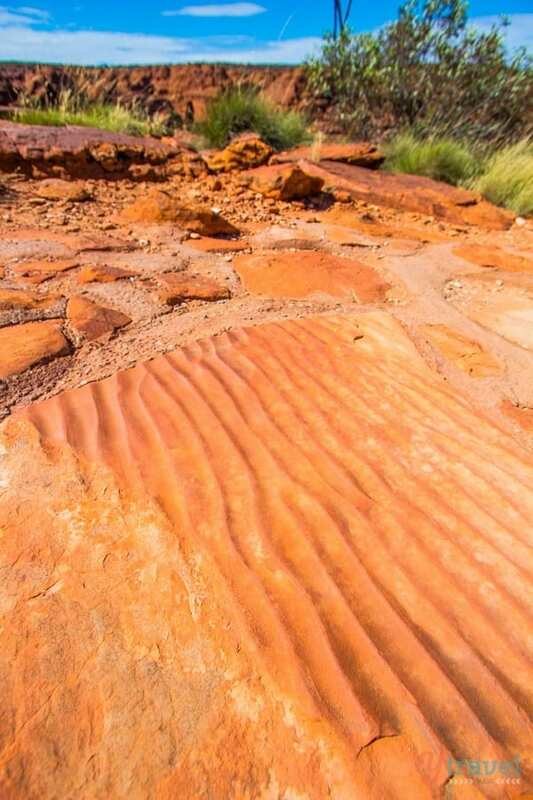 Only a few days earlier we had walked 10 kilometres around the base of Uluru. Granted I had to carry Savannah a lot of the way. I had a feeling King’s Canyon would be different. 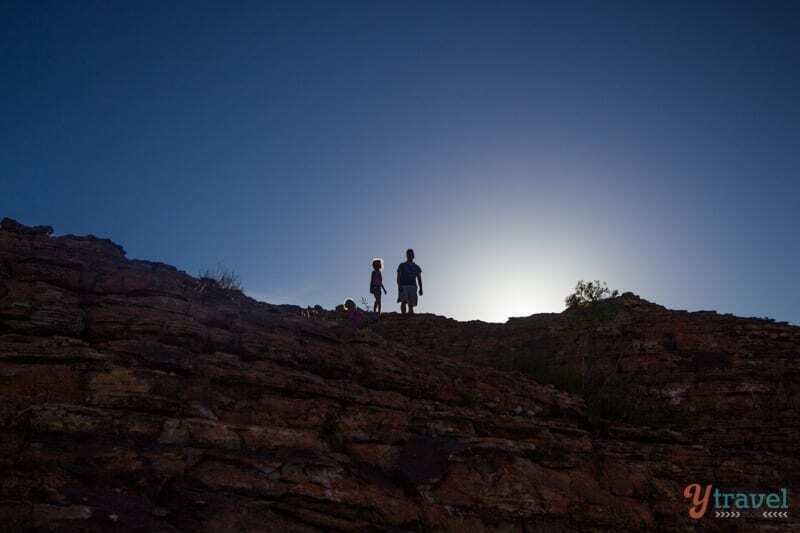 As we suggested in this post on how to hike with kids, you need to keep them entertained. Rocks and steep climbs do it every time. From the minute we started, they took control of their legs. It was just on sun up, so it was cool, and there were no flies. 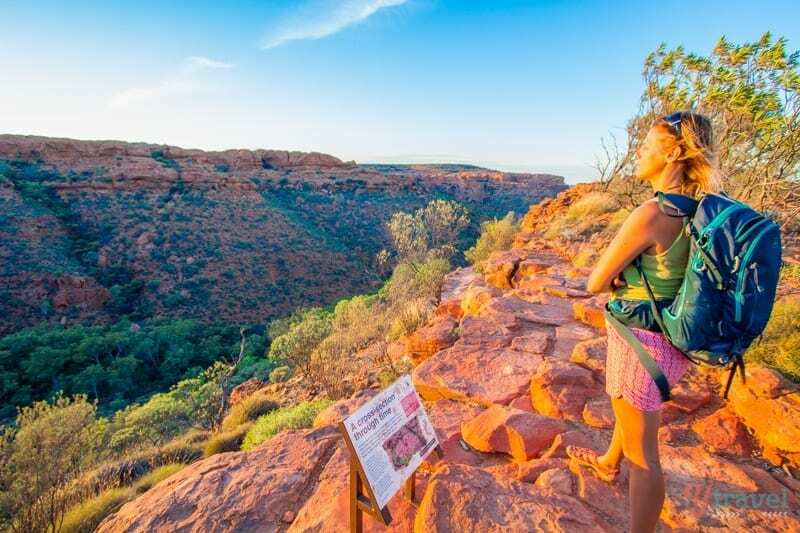 They made it to the top of the only steep part of the walk, took a rest and admired the views over the sheer 100-metre high sandstone walls and the sun rising above the deep gorge. It was lovely to walk amongst the dome shapes and see the colours change as the sun continued its journey up. Then the remainder of the time they sang, played games and scrambled over the rocks. There are plenty of places to stop for a break and to take in the views of the gorge below. 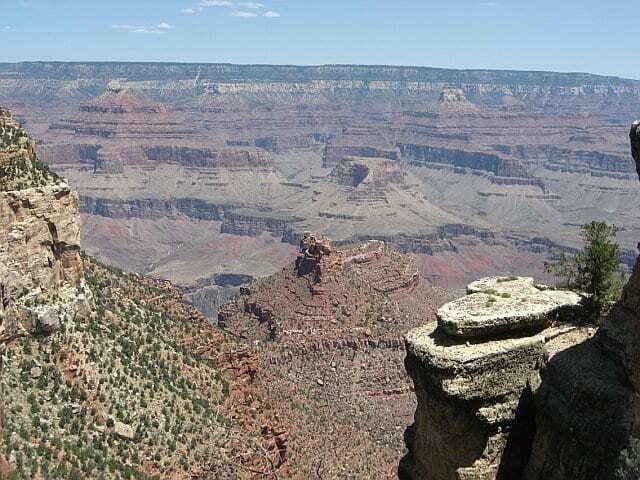 Just be careful of going too close to the edge – stay well back! It was a beautiful walk, and I was so happy to enjoy it carrying only a small backpack. Rumour has it the Garden of Eden is not to be missed. 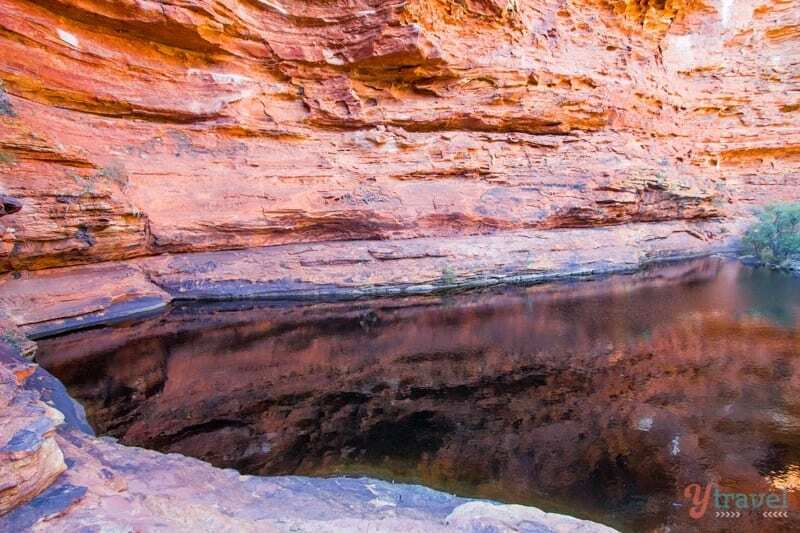 It’s a little diversion off the main track along the creek past 400-year-old cycads to a large waterhole in between the high cliff walls of the north rim. 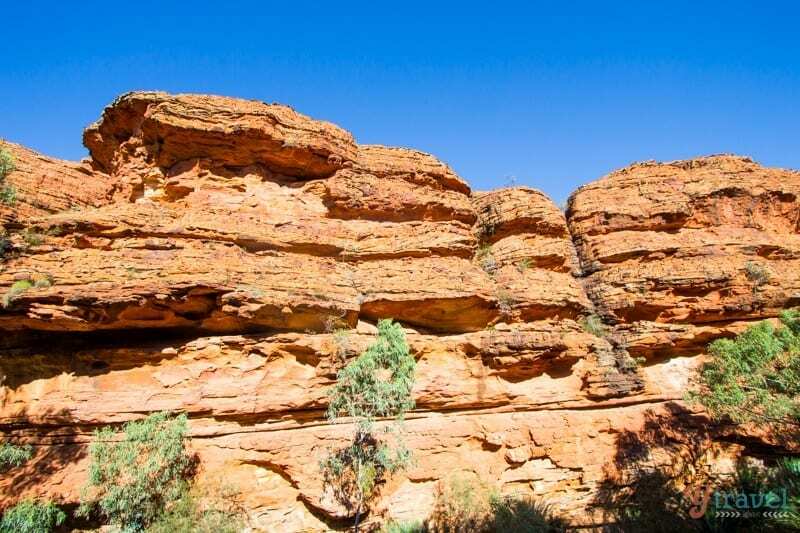 With its high cliff walls, it was a picturesque, green refuge from the hot sun and the perfect place for a snack break of banana chips and vegemite sandwiches. 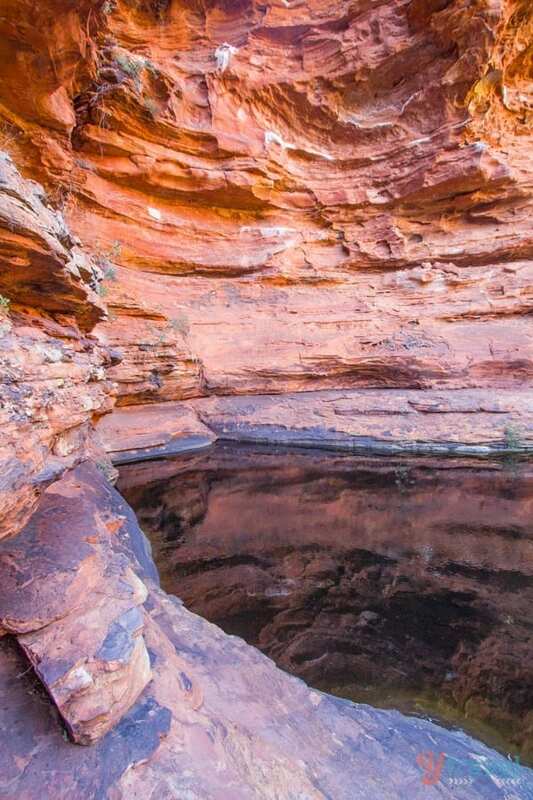 No swimming is encouraged due to it being an Aboriginal sacred spot for men’s business. Three-year-old Savannah started to waver after this and the whines of being tired started to appear. 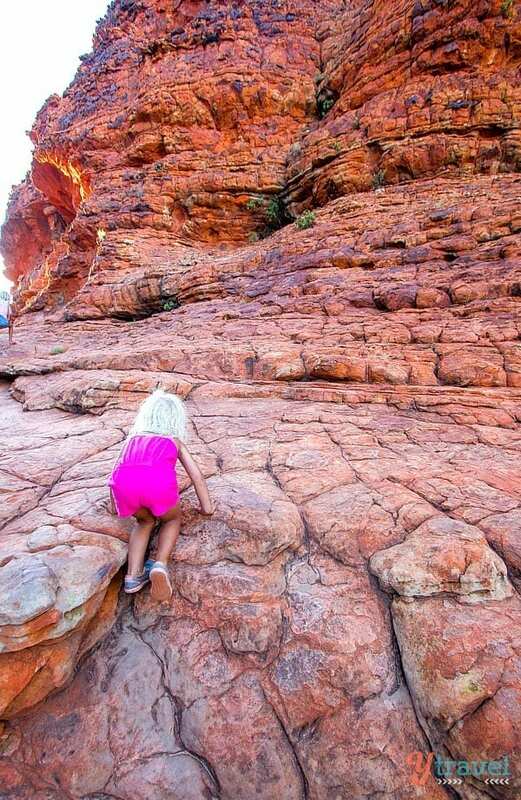 We’d encourage her to walk just that little bit further until she found her limit. 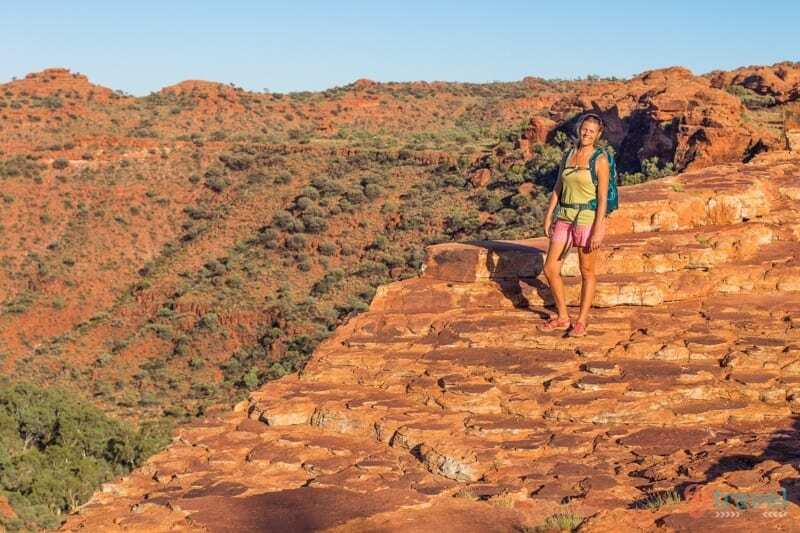 She appreciated the views out over the ‘Lost City’ – a mini-Purnululu of striped stone domes – on our shoulders instead. Soon enough, we’d come across some more rocks to scramble over, and she’d demand to get off our shoulders. 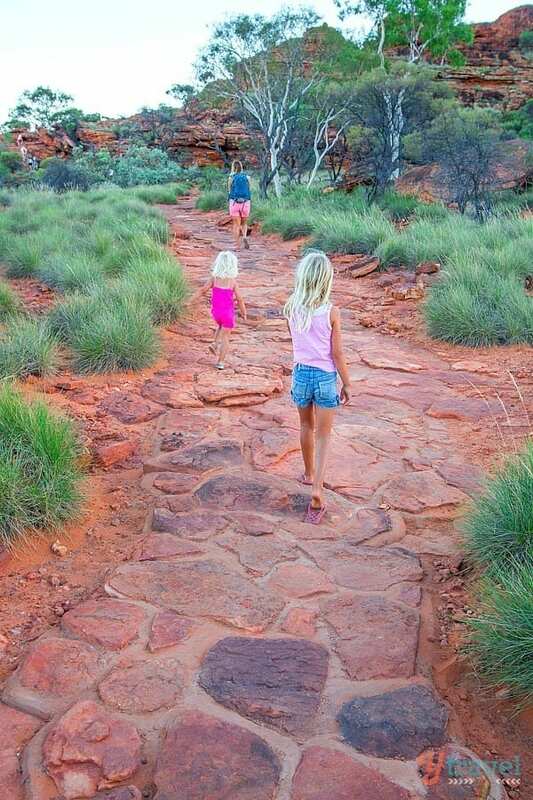 Doing the rim walk of Kings Canyon was another of those memorable moments with our girls. They tend to come the most when were out walking in nature. 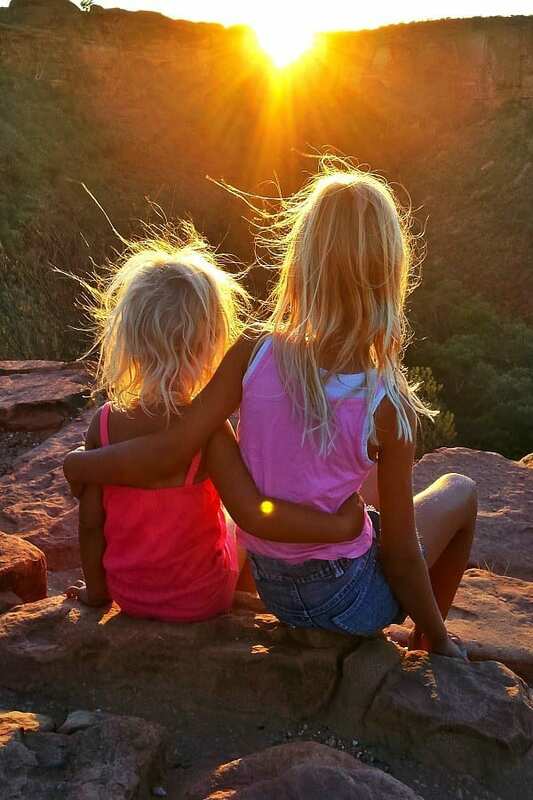 I remember them, not just because of the breathtaking scenery and the adventurous walk but for the strength of spirit I see in my girls. They inspire me to dig a little deeper and find my strength. And to skip a little more with the joy that comes with something as simple as scrambling over a rock. The walk tired me; I can only imagine how their little bodies felt. How strong and capable they’ll be when they grow up. I love that these days are helping them understand the healing effects of nature and the goodness it gives to mind, body and spirit. I’m incredibly proud of them and so grateful we get to share this journey together. 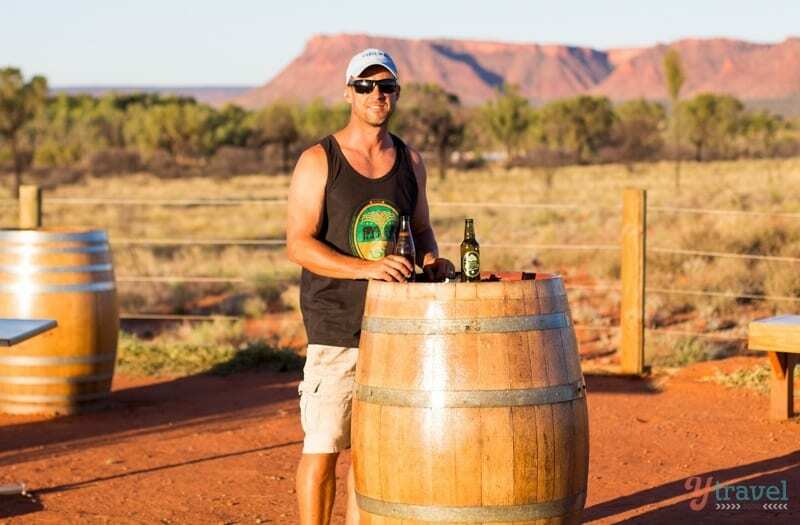 After the walk, we highly suggest grabbing a couple of cold drinks and sitting at the outside sunset bar at the King’s Canyon Resort to watch the sun set over the mountain ranges. 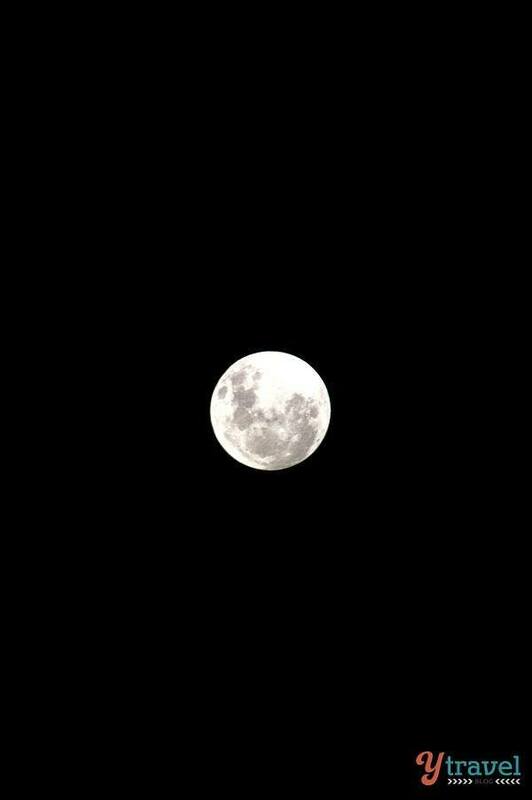 It was stunning, especially with the full moon rising. Perfect end to a perfect day! Warning: You must start your walk early, especially in summer as it gets very hot here. Wear appropriate footwear, a hat, sunscreen and take lots of water and snacks. 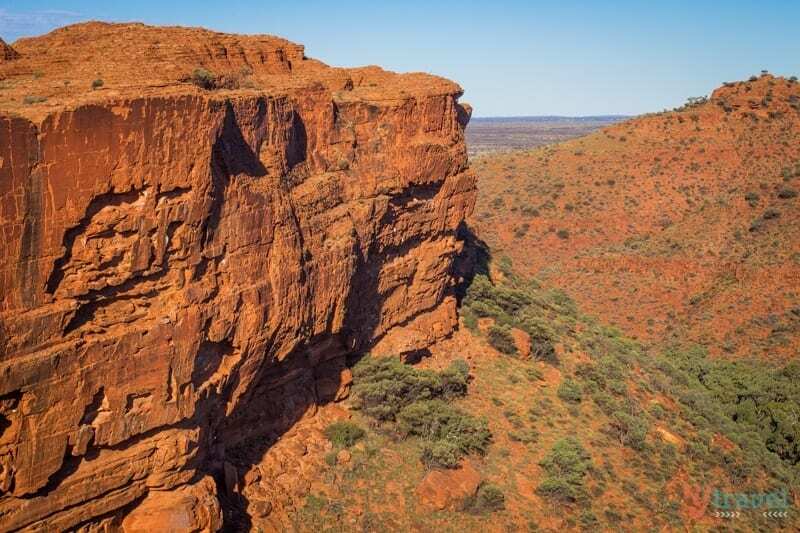 From Uluru, Kings Canyon is a three-hour drive along the Lasseter Highway and Luritja Road. 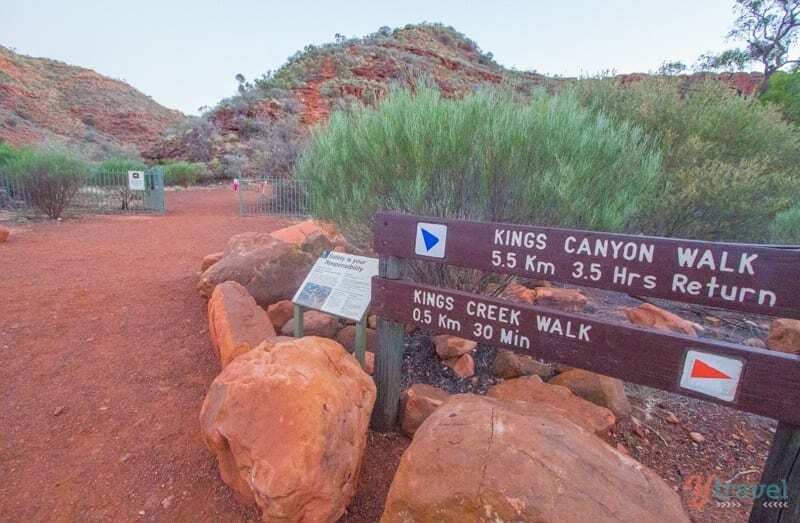 Kings Canyon is along the Red Centre Way loop road which starts and ends in Alice Springs and links the Red Centre’s main landmarks, including Uluru and Kata-Tjuta. 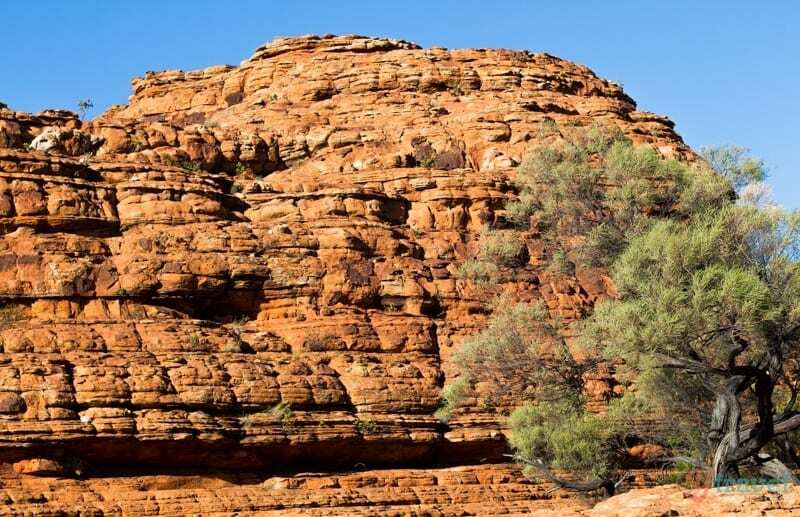 Check out these awesome tours of Kings Canyon with our partner Viator. I’ve been zooming in on all your hiking photos to see what you’ve been putting on your kids feet – I have a pair of Keen hiking sandals but I’m in two minds about whether to spend the $$$ on proper hiking shoes for my three kids (4, 7, 9) – good to see yours managed in just regular shoes! Besides the photos are wonderful, the article has made me think seriously about the limits and fears we pass on to our children. Last August we did the same walk with our boys and it was absolutely great, but the biggest surprise on our Australia holidays was when my younger son (11 years old) did snorkeling on Great Barrier Reef with a broken arm (in a cast). Even the boat crew doubted he can do it, but with the innovative mind of my wife creating the “construction” of waterproof bags and mattress he could do it. And he will remember the day on GBR as a day of his glory and not a defeat… Yes, I fully agree with you – kids can do much more than parents think they can. Wow. That’s very impressive! 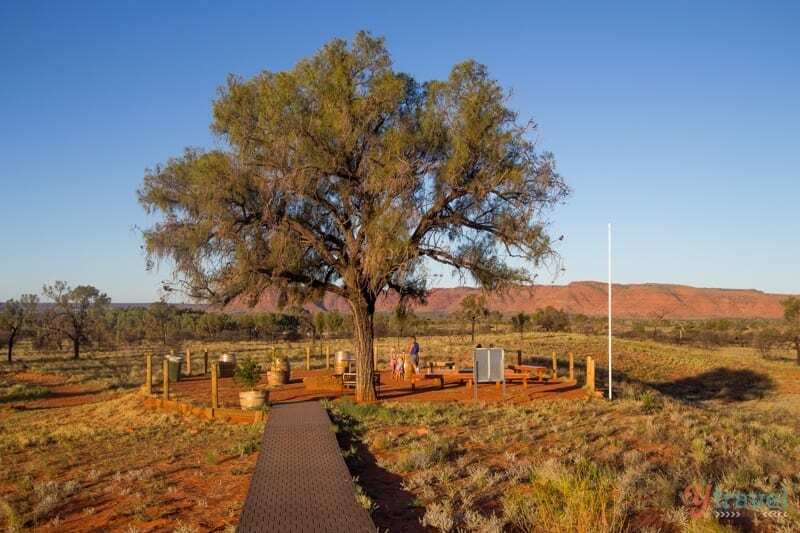 And happy to hear you guys made it to the Red Centre also. we did the Rim walk, and loved it, I didn’t want to go at first and plus I was sick with the flu, our ten year old bounded up there and walked every inch and more, we all loved it, got some amazingly beautiful photos and realised just how small we are in the scheme of things. Well done guys. Glad you got through it and loved it even though you were sick! It is amazing isn’t it?! What an amazing post! So many people would avoid an activity like that because of safety fears, and miss out on an opportunity for a long-lasting memory for their children (hopefully at least!). Heck, many parents are afraid to have their children walk home from school or wait at a bus stop by themselves. 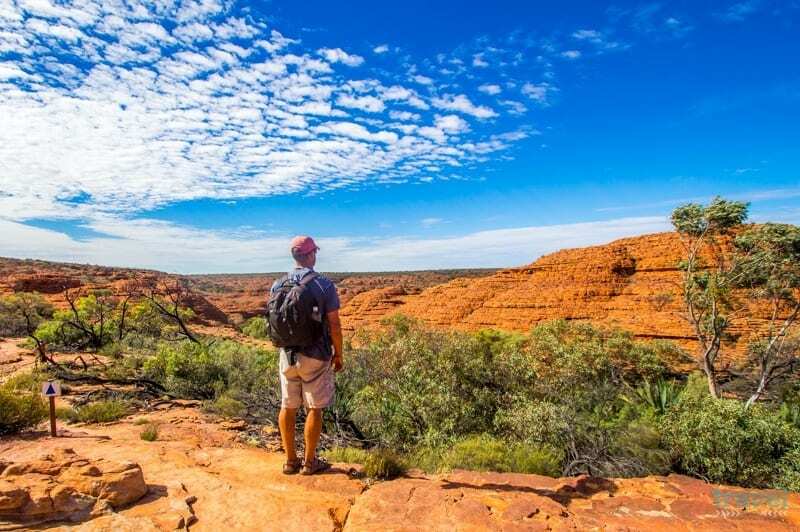 For a hike like this, as long as you start early, dress appropriately, take plenty of water and employ common sense, there shouldn’t be any issues. 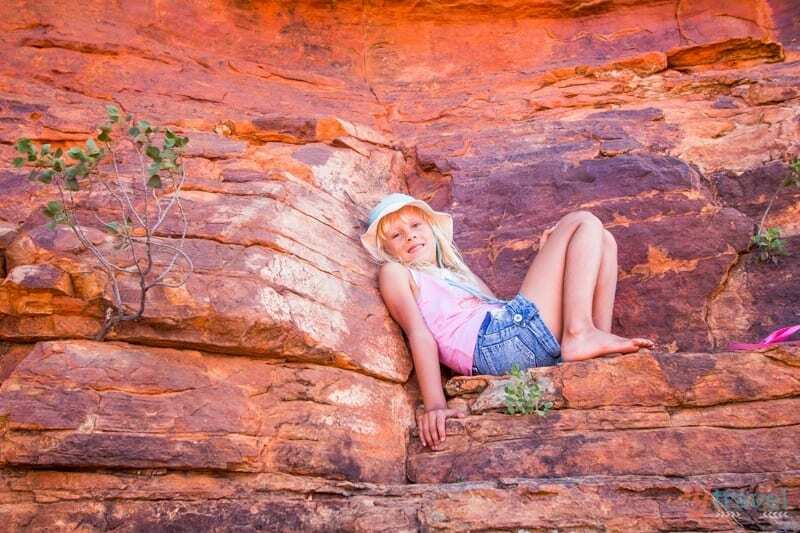 Instilling a sense of adventure in children is rarely a bad thing! It is beautiful view. Also I really appreciate the mother for sharing her passion with her kids. That is true parenting. We choose the fears we pass on to our children and this is very good example. Also a very productive way to make the children spend their holidays. They learn so much about themselves with activities like these. I don’t think it makes much difference what direction you go in. 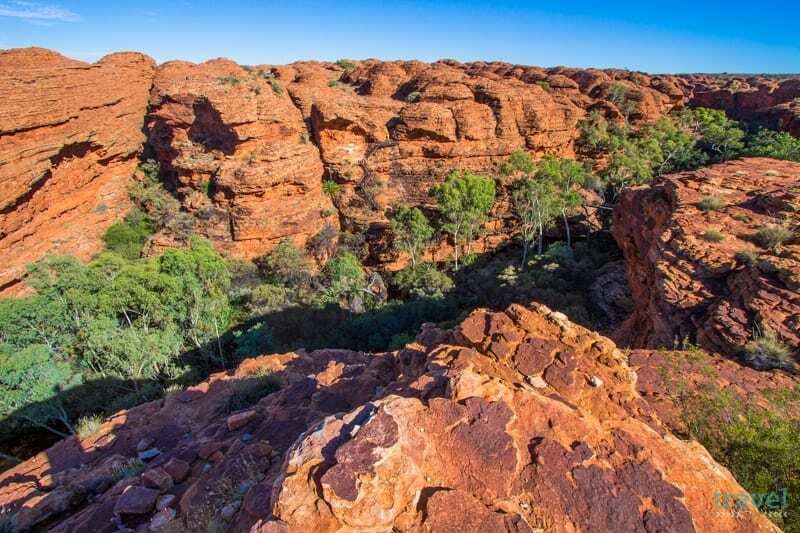 I’d plan to stop at the West MacDonell ranges between Kings Canyon and Alice. We’ll be publishing a post on it soon. A car would work fine. It depends on what you want to do for accommodation. A campervan will at least cover you for that as well. December shouldn’t be too bad. We were there in February and possibly one of the hottest weeks of the year and managed fine. Just make sunrise and sunset your activity time and rest and swim during the day. We did all our walks right at sunrise and the heat wasn’t too intense at all. It was quite perfect. West Macs has some beaut swimming holes that will cool you down. Again stunning photos and a beautiful famiy you are. Thank you for sharing! We are looking at a road trip in September with our 11, 9, 6, 4 and 18mth old sons. 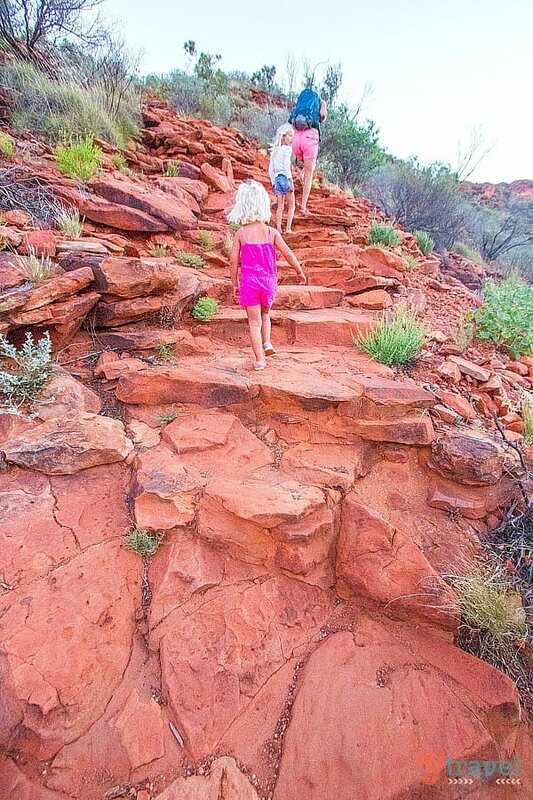 I googled ‘king’s canyon with kids’ and this came up! I was worried we would be wasting our time especially with our 4 year old, (the baby can go in a carrier) but this have made me feel more positive! 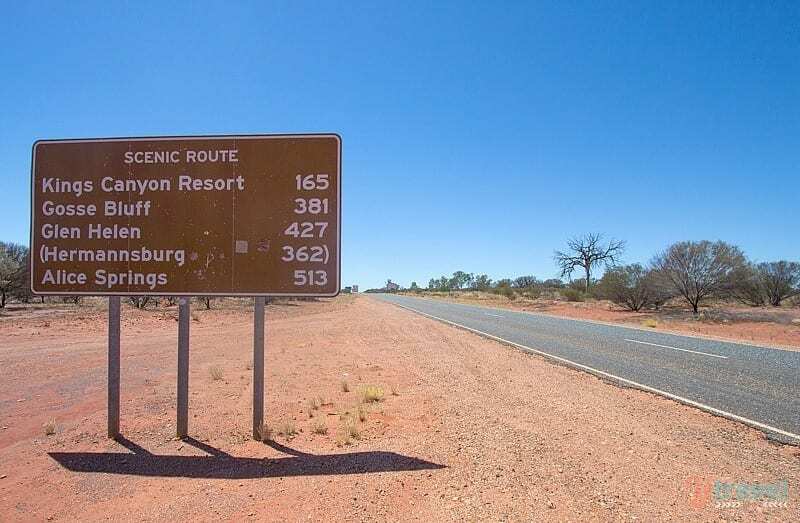 I’m considering driving the Red Centre Way one-way from Alice to Uluru in April. It would be just me and my two daughters, 11 and 9. Do you think this route is doable for a solo driver with two kids? If so, how long would we need to do it well? Yeah sure. 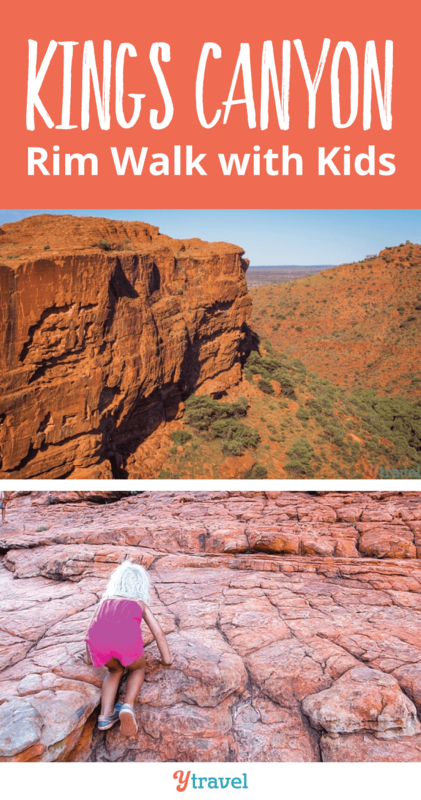 From Alice to Uluru it’s only four hours. Oh right! Sorry I misread your comment. It is doable as long as you incorporate breaks. I’d take at least four days, optimally a week. That way you’d get plenty or rest breaks and time to explore. I love to read about your travel-adventures. 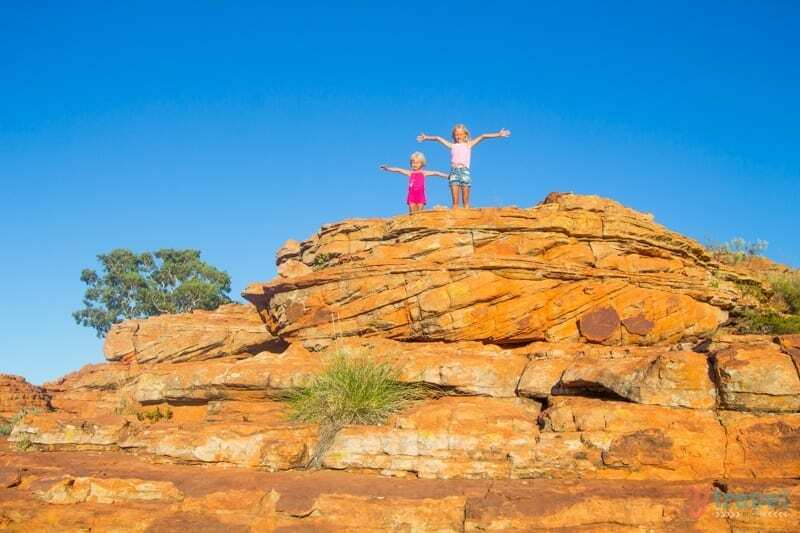 We will be traveling with two kids (5/8) from Yulara to Kings Canyon. 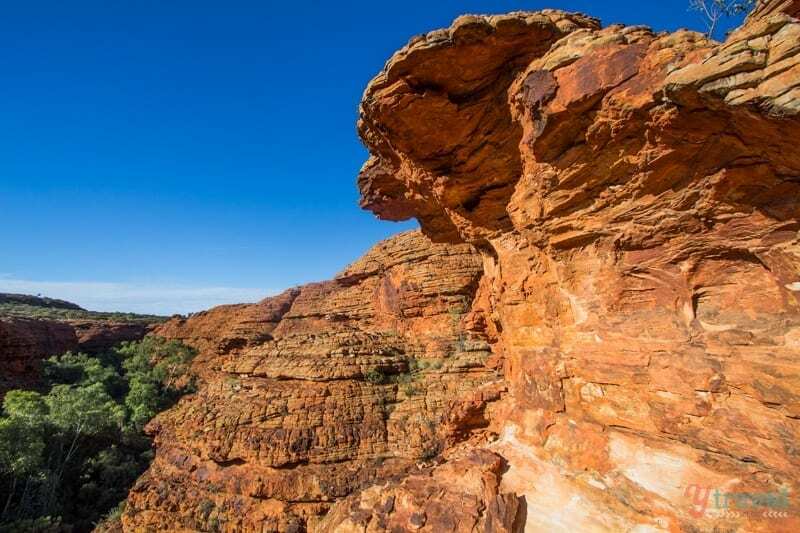 Actually we planned 1 night an Kings Canyon (coming from Yulara), then the next day, early in the morning we want to make the rim walk. 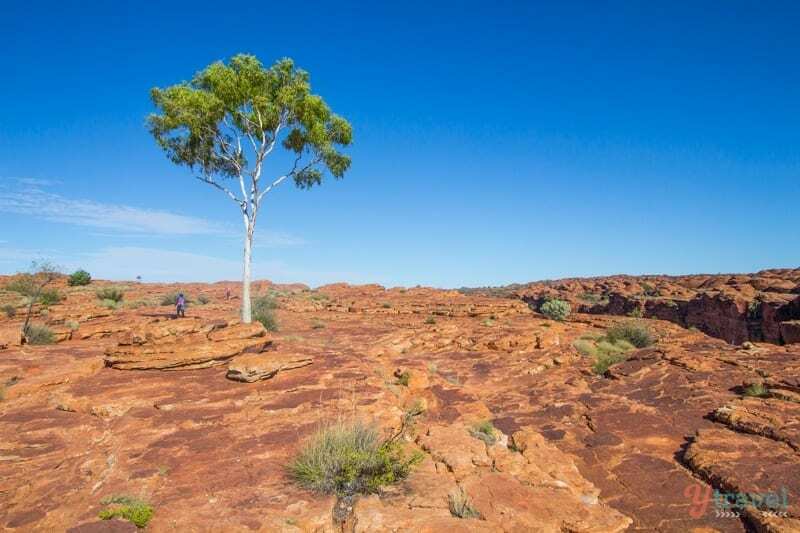 We are not sure if we should stay another night, or if we can drive to Alice Springs right after the walk (5hrs) The travel agency thinks this is easy, but I want to enjoy it and not to hurry up all day. What do you suggest? Thank you. Caz, I am sure lots have already commented the same, but I am gonna say it again! 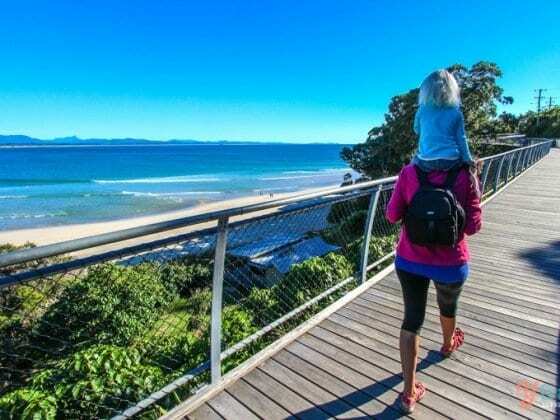 Awesome blog and it does really help parents out there (like myself with a 6 and 9 year old) to plan for the rim walk. I am wondering where you guys did the “Under a Desert Moon ” dining experience, is it worth it? Also, you guys set off to see the sunrise as I understand from the blog, just wondering how long was the hike before you got to a good place to see the sun rise and was it too dark for the kids before the sun rose? Love to take a similar sun rise photo like yours! Hello – love your blog, pictures and great info! My husband and I are traveling from the US in December and will be spending 23 days in Australia. We thought that sounded like a long time but as we started planning our itinerary found it to be very short and only time for short stays in many places we wish we could stay longer. 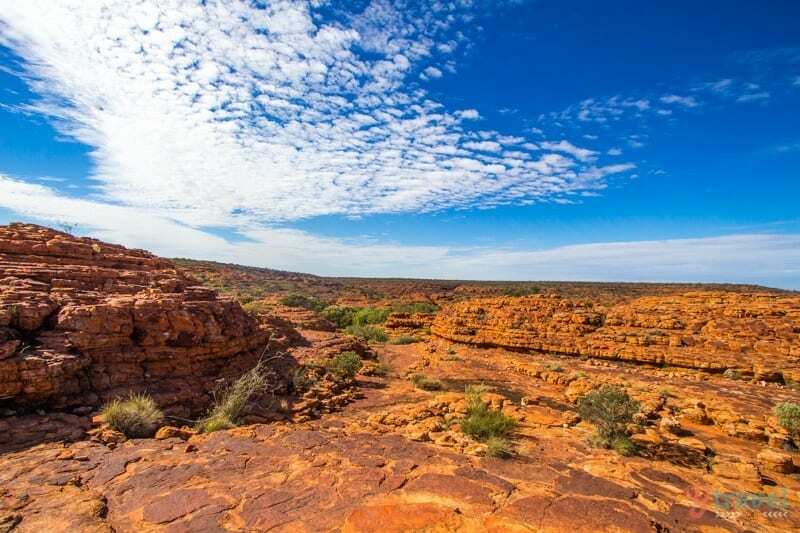 One such area is the Northern Territory and I’m wanting your opinion on whether you think we should try to alter our plans or stick with what we have. 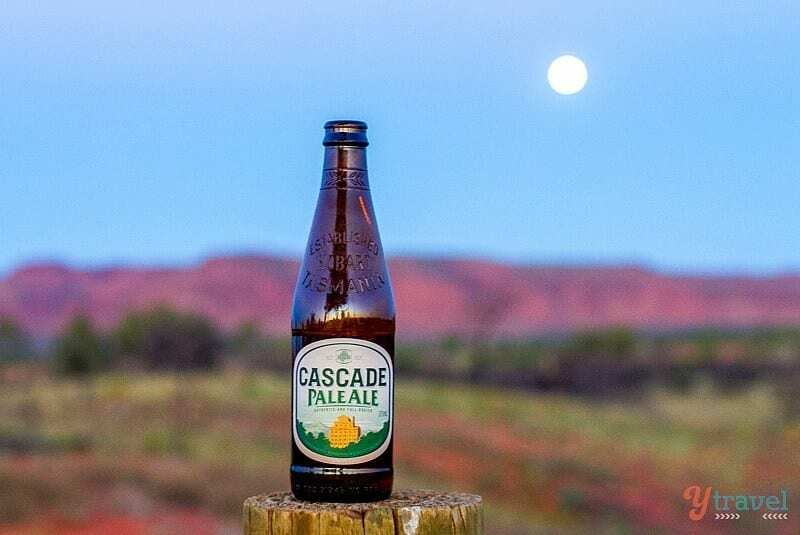 We are flying from Cairns to Alice Springs on a Sunday and so far have the below planned. We are in our early 50’s and like some hiking, we are not serious fitness or outdoor people, however, we do love beautiful scenery and don’t mind putting out some effort to get there. In your opinion, does the above seem like too much driving in a short period of time without enough time to stop and enjoy the various gorges, etc? I keep thinking that perhaps we should try to spend more time in the Macs and stay Monday night at Glen Helen and skip Kings Canyon. 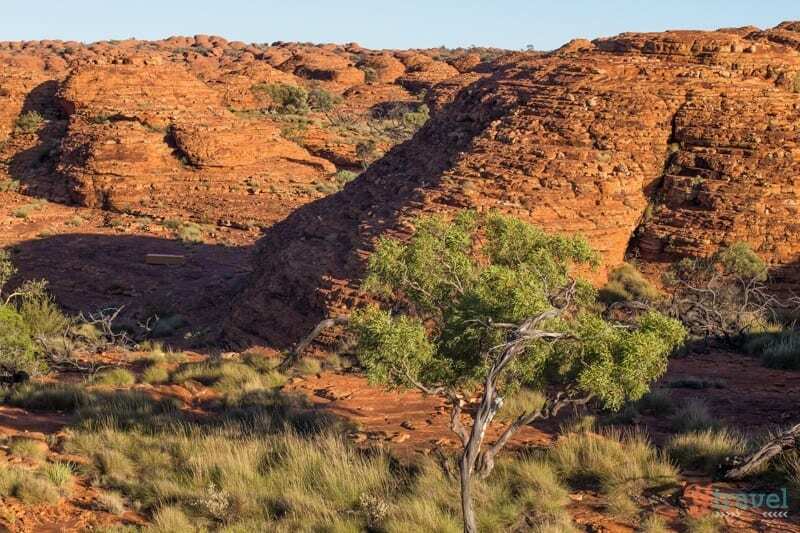 Tuesday would then include early morning in the Macs and then leave around noon to drive to Uluru. Thank you, I look forward to hearing your suggestions. I am amazed at all your wonderful pictures. I just found them tonight and feel I have found a goldmine. What a wonderful family! I won’t be going on a hike over there. But I am hoping you can send more pictures that I can enjoy in my old age.I was born in Melbourne 93 years ago. Wow, thanks for following along Yvonne. 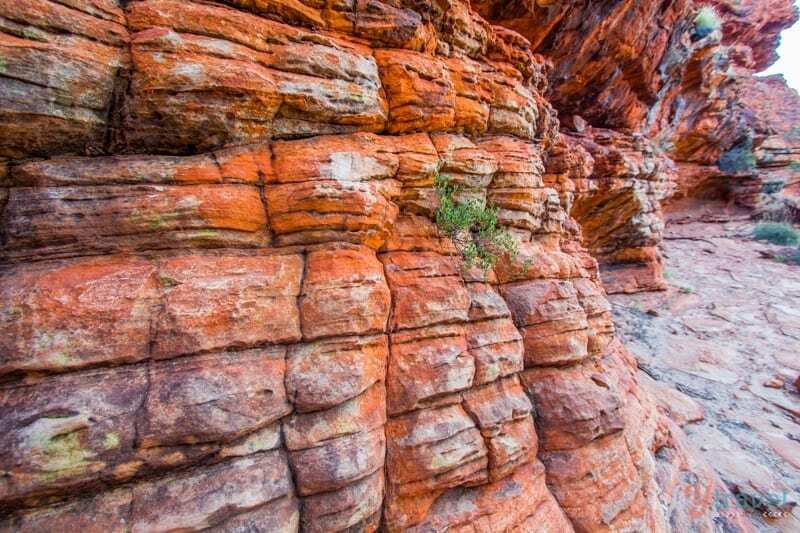 Hi, I love your photos of Kings canyon. 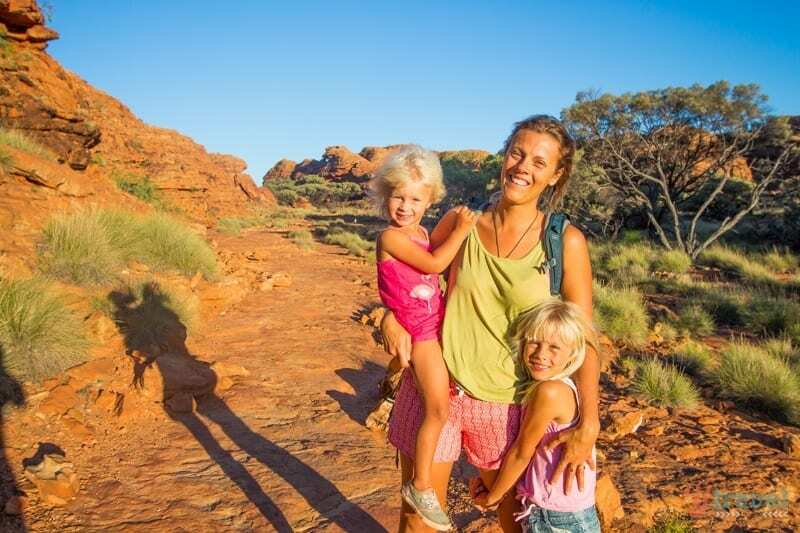 We are a family of 5 (kids aged 14,11 and 8) and are holidaying at uluru soon. 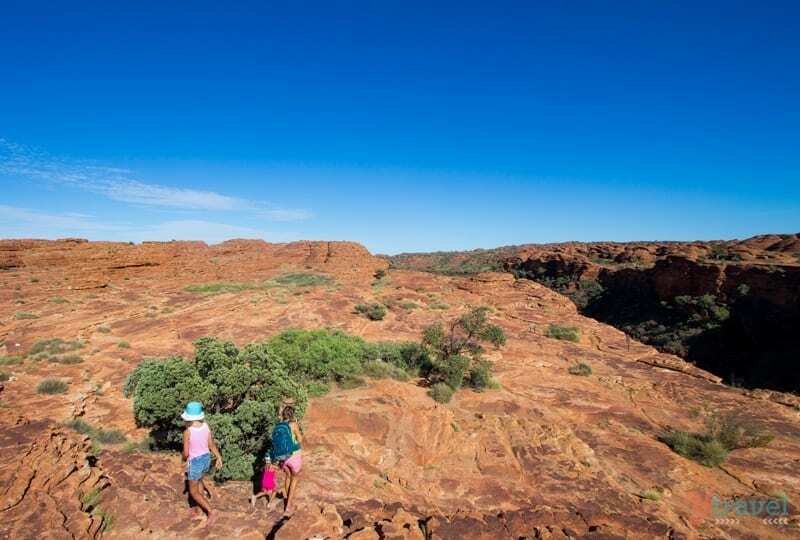 We arethinking of doing a day trip to kings canyon, as weve already booked our flights and accomodation at uluru. We would get to kings canyon about 10. As its summer do you think it will be too hot to do the rim walk? Is it a worthwhile day trip? Thanks so much? Yes. It will be too hot to do the rim walk. You really have to start at sunrise, especially in the summer. It’s too dangerous otherwise and they usually close the track at around 10 or 11 in the summer months. I think a day trip will be too rushed, especially at that time of year. 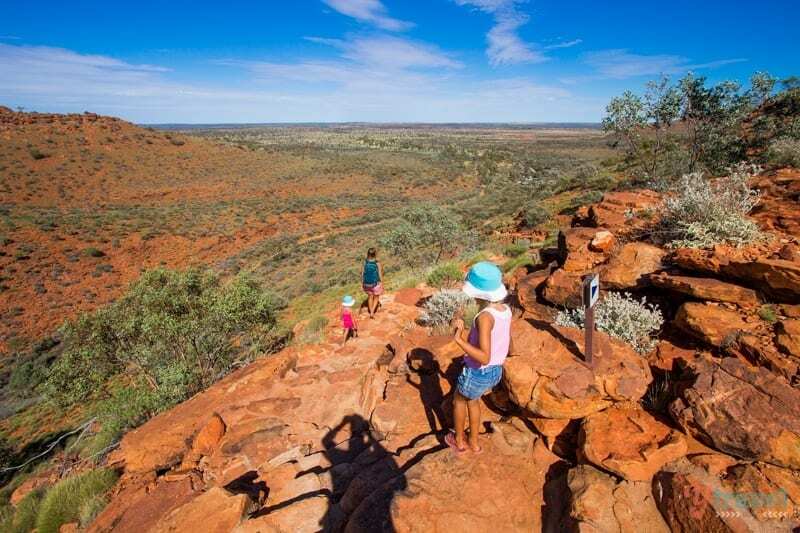 You are better off just soaking up Uluru more or spending longer at Kings Canyon if you can to make it worthwhile.